Day one of the holiday it rained. No surprise there, Ireland is not known as ‘Emerald’ due to the annual hosepipe ban. Still, County Wexford is known as Irelands ‘Sunny Southeast’ due to it getting more than its fair share of Irish annual sunshine and the Gulf stream moderating winter temperatures. 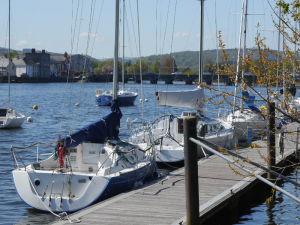 From Arklow to Duncannon, over 100 km of coast line is dotted with over 30 beaches including 7 Blue Flag beaches and the marinas at Kilmore Quay and New Ross, the blue flag awarded for good water quality and general environmental healthiness. The clean waters and the Atlantic effect on the tides went a long way to explain the wet suits hanging in the cottage cupboard. Had I only been thirty years younger – but even then I would have been more likely to sink than surf. Perhaps the most impressive boast of Irelands Wexford coastline is the sheer diversity of it. Some of the beaches are small coves bordered by cliffs reached by steep pathways sporting worrying signs warning of keeping a safe distance form the possibility of falling rubble. Others have pebbly borders or high dunes leading to smooth sand. Many form an abundance of happy destinations for sea anglers and an opportunity to come face to face with a grey seal. The common factor that binds the coast line are the tides which have an undeniable Hokey-Cokey vibe. When they are out they are most definitely out often revealing endlessly wide smooth stretches of pristine sand. When they are in they are definitely in, as often as not obscuring any hint of a beach until the sands magically appear again at low tide. 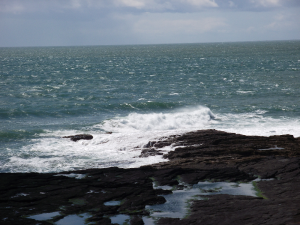 Further South on the Hook Peninsula the coast becomes truly dramatic rock formations thrashed by the white peaked waves and warnings of blow holes, along with tantalising opportunities to explore sea caves and see an array of sea life including Puffins and Humpback Whales to name but a few. 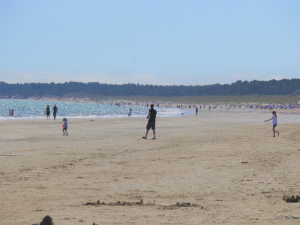 The high dunes and wide sands of the likes of Curracloe (where they filmed ‘Saving Private Ryan’) and Balinesker make the Wexford Coastline a perfect destination for bucket and spade laden kids and surfers. 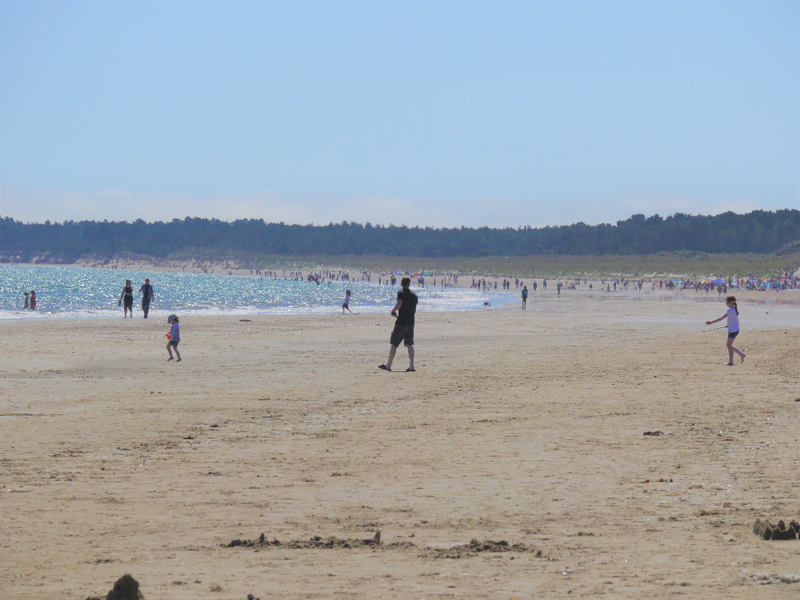 Curracloe is particularly good as it has disabled access, but it is extraordinarily popular. Day three and the weather picked up to steamy hot so we explored the Hook Peninsula. The Peninsula is about an hours drive beginning 29km south of Wexford turning off the R733 to Tintern Abbey and Saltmills. 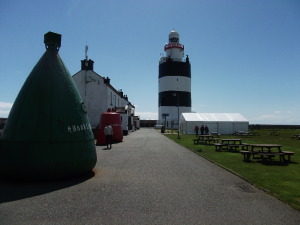 Unlike many destinations in Ireland, it’s clearly signposted following the coastline to the farthest point South at the Hook lighthouse and up the Western side of the coast to Duncannon, then rejoining the R733 coast road. The route follows a series of landmarks. Some are little more than landmarks, the crumbling remains of the areas past when it was subjugated by the Vikings and then the Anglo-Normans who built their trade mark castles and many a rebellious uprising since. We arrived at Tintern Abbey, a 13c Cistercian Abbey (named after its Welsh counterpart) later rebuilt as a residence and lived in until 1959, on the first Wednesday of the month when entry is free. Like every landmark on the Hook the partly restored Abbey has its charms and is well worth a visit, if only to imagine over a pretty good cup of coffee at the café how such stark remains would have made a draughty 20th Century home after its heyday in the 16th Century when the family fortunes of the Colcloughs from Stafford floundered. Amongst its interesting artworks and hints of its Tudor heyday is a wax work model of the head of a Colclough parted from its torso and slung into the Clansey river. 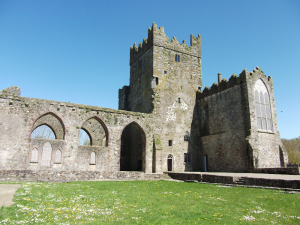 The Hook route takes you on through Saltmills and its little harbour and onto Fethard Castle, a Norman stronghold now in such near state of falling down it can only be viewed from a safe distance. 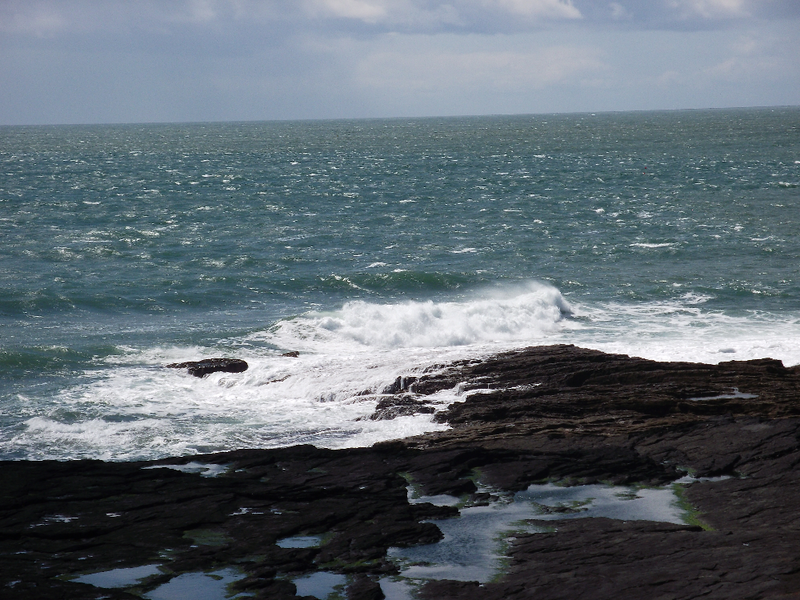 From there we made our way down to the Hook Lighthouse and its stunningly dramatic rocky coastline. The oldest (its 800 years old) intact working Lighthouse in the World, the Hook Lighthouse offers guided tours and exhibits to explore its history, art workshops to record its present and a resident pigeon padding around the visitor centre. We then travelled North passing the grandly grey Loftus Hall, Irelands most haunted house which is open to visitors and was celebrating the Irish pagan festival of fire, ‘Bealtaine’ while we were there. 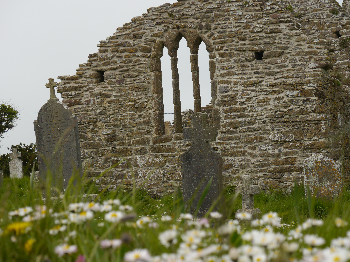 From there on past the Knights Templars Church at Templetown dating back to 1310, but sadly now largely derelict.